in DIY, frugal • This post may contain affiliate links. Read the disclosure policy. Here is a terrific holiday gift for the coffee lover in your life that also needs a little bit of pampering. 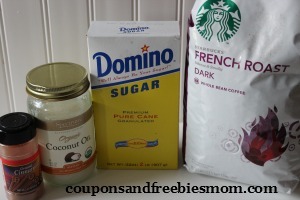 This simple Coffee Sugar Scrub puts to use your favorite ground coffee grounds with a few other simple items on hand in your home to create a luscious scrub. Coffee grounds are a great way to exfoliate and the “wake up” smell is perfect to get your day started on a bright note. Although the recipe below doesn’t specify specific coffee I highly recommend using one of your favorite flavored coffees for a little extra kick. A rich vanilla or hazelnut coffee ground will add just enough extra warmth of scent to this scrub that will be pleasing to everyone. We love this variation on a simple sugar scrub that can be easily customized for your coffee loving friend for a perfect holiday gift. With simple inexpensive decorative clear plastic jars or containers and a few small ribbon embellishments you can easily customize this scrub into a unique and personalized gift for anyone on your list. Create a coffee lovers gift basket complete with this great scrub, a small bag of specialty roast coffee, a new custom holiday mug, perhaps a few packets of creamer, sweetener and a beautiful spoon to stir. 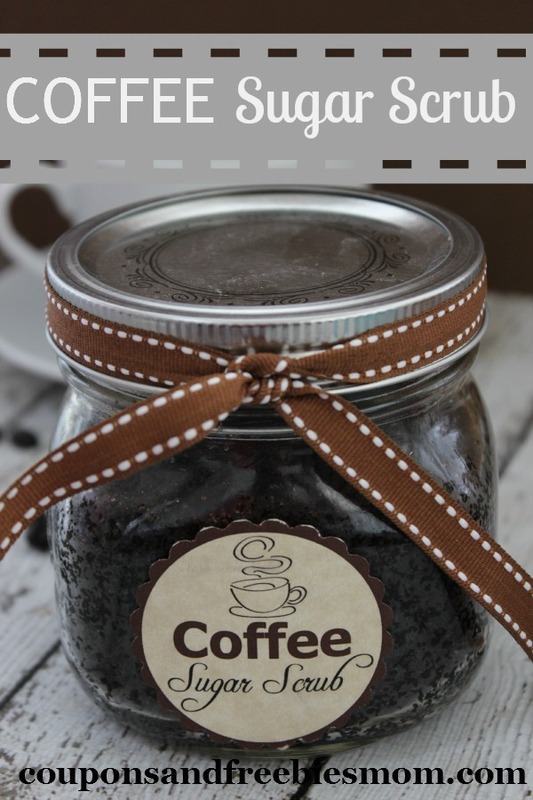 Great coffee sugar scrub like this proves that you don’t have to spend a lot of money to create a gift everyone would love to have this holiday season. 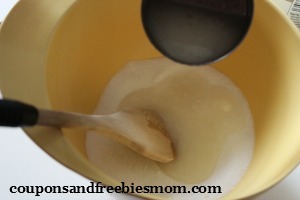 I have been wanting to make a sugar scrub for my dried out face, and this looks perfect! Thanks!! Looooooooooooooove this idea! Thanks for posting. I really love the website. What a nice gift idea, thanks for sharing! Do you have any idea what the shelf life is for this?